We are the leading manufacturer of forged rock drill piston as per customer requirements. Our experienced quality controllers supervise all the business operations to ensure that all the quality parameters are diligently followed, ensuring the delivery of quality driven products at par with industry standards. Regular pistons are milled from a rough casting. The original metal is poured into a pattern, then cut on a lathe or milling machine to the final shape and dimensions. We are a unique name in this industry to provide our prestigious clients an exclusive range of Forged Steel Piston. 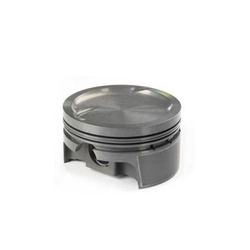 With vast industrial experience, we are involved in offering a wide range of Forged Piston. We supply genuine forged pistons for bikes, mopeds and scooters, ensuring reliability and proven performance. These pistons are offered in OEM specifications at a reasonable price. Extensive engineering goes into each part to provide maximum accuracy and tolerance for everyday efficient biking. We offer motorcycle pistons for Honda & Bajaj. Wosser forged piston at pec, we only supply the finest wossner forged pistons . Regarded by leading motor sport engine builders, as being the product of choice when building an engine not only to perform, but to withstand the stresses and dresses of competition life. We are engaged in offering Forged Piston to our clients. These uniquely modified pistons are fabricated using high grade raw materials and cutting edge technology keeping in mind defined industry norms. These are sourced from our trusted and reliable vendors that ensure only optimum quality product are delivered at industry leading prices.